A visit to a Zulu homestead in the rural areas of Zululand can give a great insight into the life of modern Zulu people living within their traditions. The picture above was taken during such a visit. 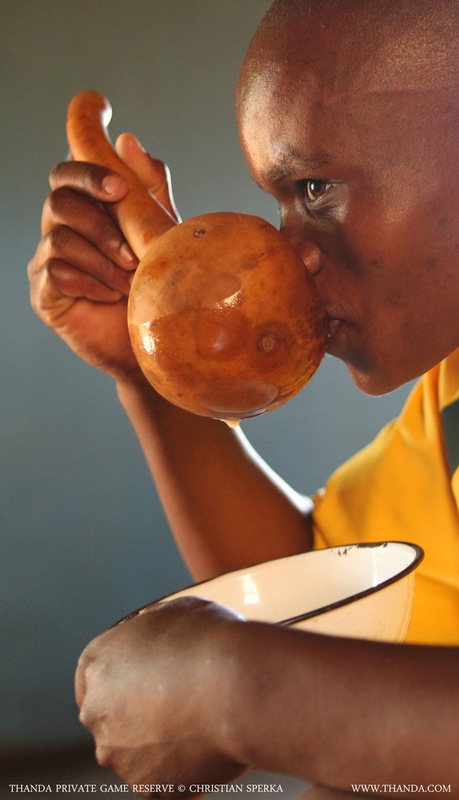 Bheki Ngubane, one of Thanda’s experienced Zulu trackers, interprets the process of making traditional Zulu beer. 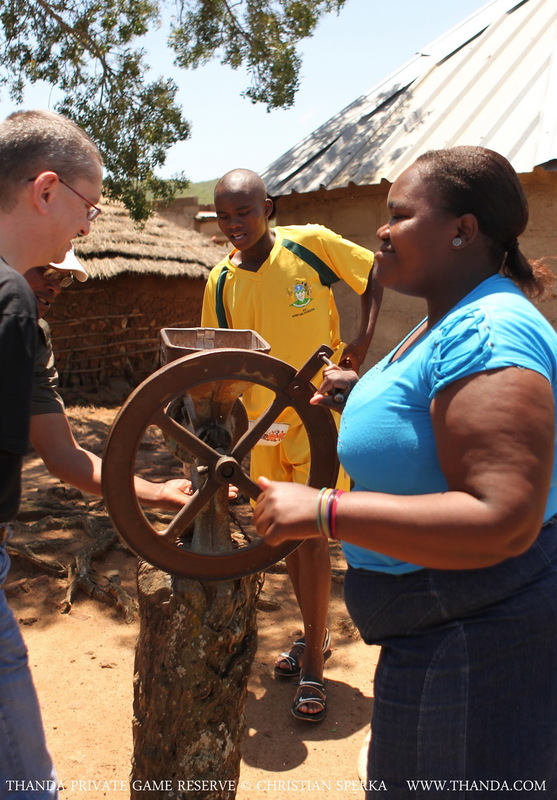 One of the ladies at the homestead explains to Stefan the use of the mill to grind the maize. And this young family member was very keen on a picture with Stefan. Thanda is located in the heart of Zululand. With this location comes responsibility to the Zulu People and the Zulu Culture, which have existed in this area for centuries. 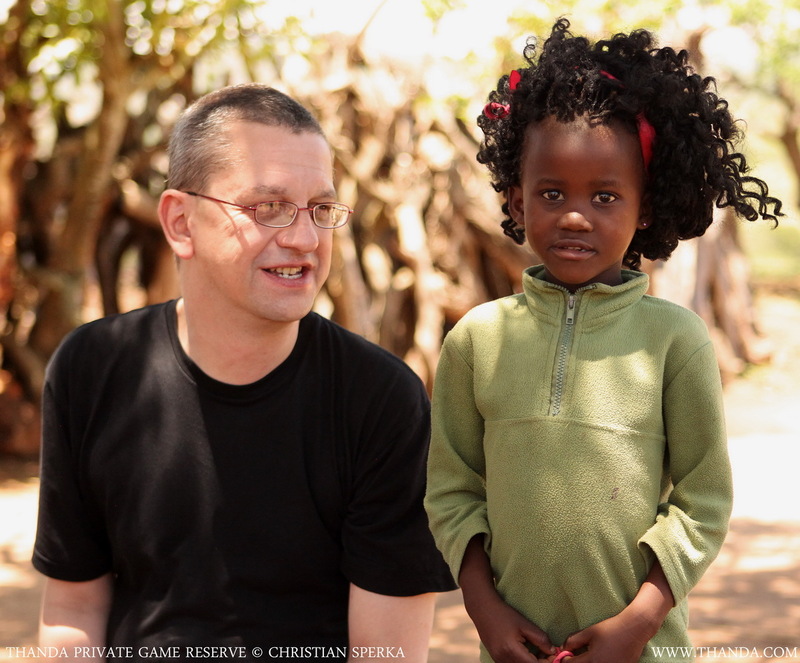 Most of the personnel at Thanda come from the surrounding local communities and Thanda has close relationships with the community leaders and the people. Both sides benefit greatly from these good relationships! 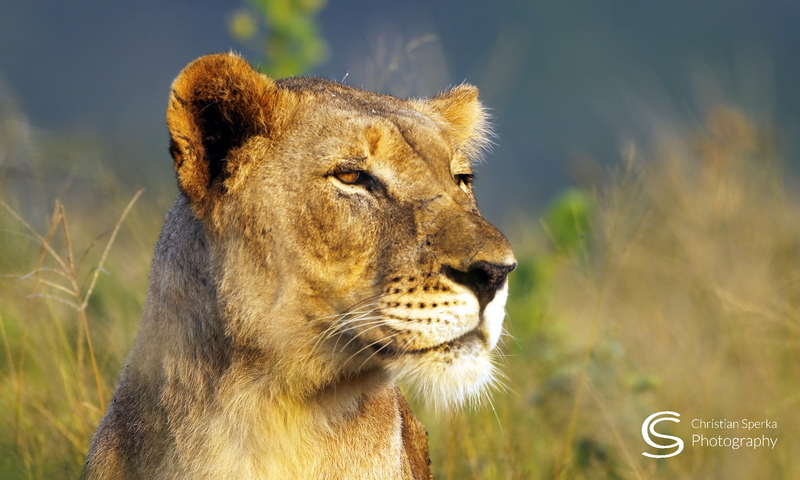 For the interested guests – from all over the world – Thanda is not only a superb place to experience the African bush but also an ideal base to explore Zulu culture and customs. 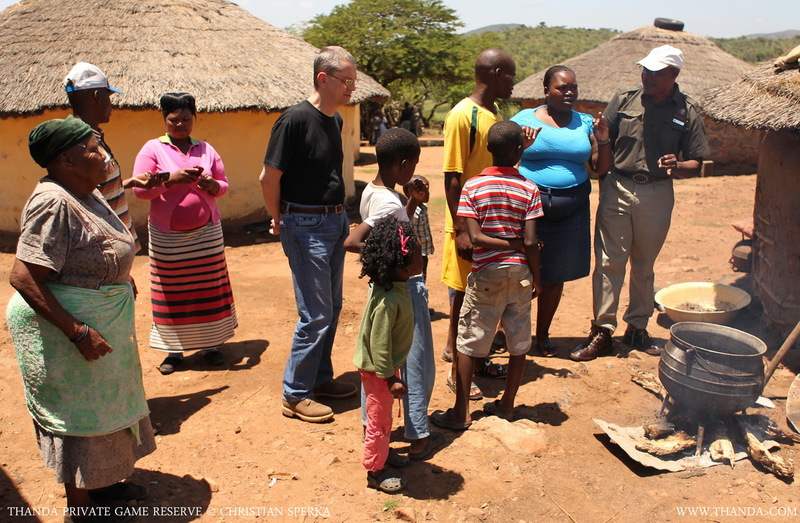 Visits to a traditional Zulu homesteads and to local schools can enhance the appreciation for the rural life in South Africa. A visit to a Sangoma (Zulu Spiritual Adviser) can give a great insight into the Zulu believes connecting God, Nature and the Ancestors. Hope your brother had a awesome visit. What an experience to get to visit a homestead,to see first hand how they live.Besides the animals this would have to be awesome to see. Previous PostPrevious Delay – no problem! Next PostNext In the middle of the night!